CHANTILLY, VA--(MARKET WIRE)--Apr 17, 2009 -- TV Worldwide (www.tvworldwide.com) the Internet's first TV network, announced that it will again webcast live from the National Association of Broadcasters NAB 2009 show in Las Vegas for the 8th straight year, being selected to highlight in 2009 as in prior years, the NAB U.S. troop support efforts of Operation Interdependence (www.OIDelivers.org) and other troop support groups including Thanks USA (www.ThanksUSA.org), the Vietnam Veterans Memorial Fund (www.VVMF.org) and Southwest Veterans Business Resource Center (www.SWVBRC.org). The event will be webcast beginning 11 AM PT, each day, April 20-23, while demonstrating the latest streaming video technology. With sponsorship and technical support from JVC, Viewcast, Tektronix, Stream the World, Abacast, Newtek, Limelight Networks, Smart City, L-3, Trilithic, Conax, Envivio and Digital Rapids, the event will feature a daily calendar of live programming highlighting interactive live video greetings from NAB attendees to the troops and show attendee events at the outdoor Operation Interdependence booth (OE500) and at TV Worldwide's webcast studio booth (C11047). As a special feature of the webcast, renowned Vietnam Veterans Memorial Fund (The Wall) founder Jan Scruggs will launch a PSA campaign during the webcast on Thursday, 12 PM PT to feature the campaign to raise funds for the new VVMF Education Center near The Wall on the National Mall in Washington D.C.. The PSAs feature campaign spokesman Tom Selleck, General Colin Powell, and others and will be distributed for free all week in DVD format at the TV Worldwide Webcast Studio Booth. For the last several years, TV Worldwide has worked with Operation Interdependence on numerous high profile webcasts throughout the country, highlighting O.I. 's renowned Civilian-to-Military Distribution System® including past NAB shows where NAB President David Rehr assisted with the Operation Interdependence effort during the webcast. Mr. Rehr will be participating in the event again for NAB 2009. TV Worldwide will also feature the efforts of Thanks USA (www.ThanksUSA.org) in an effort to thank the men and women of the United States armed forces by providing college, technical and vocational school scholarships for their children and spouses. The webcast, to be simulcast on TV Worldwide's Internet TV channels for the new media industry, TV MainStream (www.TVMainStream.com) and for the veterans community, USVets.TV (www.USVets.TV), will also feature reports on webcast industry activities at the show while interacting with webcast participants worldwide via e-mail. "We're pleased to have again been selected to deploy our TV Worldwide Internet TV network again to support Operation Interdependence, Thanks USA, VVMF, SWVBRC, and U.S. troops globally on our TV MainStream and USVets.TV channels with help from our technology sponsors," stated Dave Gardy, chairman and CEO of TV Worldwide. "This will be our 8th consecutive year webcasting live from NAB, and our goal this year is to use that experience to offer the streaming media professional a front-seat, interactive on-line perspective highlighting issues and demonstrating the key technologies that are driving our webcasting industry while actually using the technology to again support the troops in the process." "We are pleased to again work with the TV Worldwide team for our webcast at NAB 2009 to help us get the O.I. message out and to support our troops worldwide," stated O.I. CEO and President Karon Carley. "As we've done in prior years at NAB, we're calling the webcast video greetings to the troops 'V-Rats' (V-Rations), just like we call our care packages for the troops, 'C-Rats' (C-Rations)." Visitors to the live webcast will be able to post questions to interviewees and participate in Q&A via e-mail, providing a fully interactive forum for sharing information. In addition to www.TVWorldwide.com, the event will also be simulcast to two other Internet TV channels, USVets.TV (www.USVets.TV) for the military veteran audience and TV MainStream (www.TVMainStream.com) for the streaming media sector. The event will be archived for viewing for a full year on all channels. Those wishing to participate should be online by 10:45 AM PT on April 20th. Questions can be directed to 703-961-9250, ext. 229 before and during the event. Founded in 1999, TV Worldwide (www.tvworldwide.com) developed the first Internet TV network of community-based Internet TV channels, primarily targeting niche professional communities ranging from the Maritime industry to the Digital Media sector. 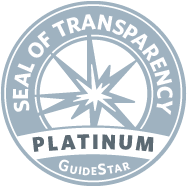 Known by many in the industry as "Internet TV for Smart People," Fortune 500 companies, 18 federal government agencies, and numerous International associations including the National Association of Broadcasters, utilize TV Worldwide's live and archived state-of-the art video streaming content applications and Internet TV channels. In recognition of the company's unique achievements in new media, TV Worldwide was selected by the National Academy of Television Arts and Sciences (NATAS) to webcast the Daytime Emmy Awards and the Emmy awards for Technology and Engineering 2007 through 2009. CEO Dave Gardy has been honored by Streaming Media Magazine in 2008 as one of the 25 Most Influential People in Streaming Media. Mr. Gardy also currently serves as the President of the International Webcasting Association (IWA) (www.webcasters.org). Operation Interdependence® is a civilian-to-military delivery system® that serves as a program for Americans to demonstrate their support for our deployed military. Across the nation, men and women are given orders to deploy on a regular scheduled deployment. These deployments are known to the public and allow our service members and their families to plan. However, special orders are given as well for our nation's military to deploy at a moment's notice. Operation Interdependence® is designed to support regularly scheduled deployments. Information is given to military officials in order for the military leadership to have a grasp on our support. We do not nor do we want to interfere with special deployments, unless specifically requested by the deployed forces. It is imperative to all participating with O.I.®, to learn that care packaging can produce an unintended consequence, pulling a service man or woman from vital training only to be placed in a special deployment with training minus the hours lost due to attending to care packages from home. We are essentially creating the work force from this side of the fence, and contributing to removing a logistical tail that tends to present some required decisions other than focusing on the battle plan. Everything we do must put the decision makers in the best position to carry out the strategies that will secure our freedoms. Our success will be based on our ability to needing each other, tying all organizations that send care packages to our deployed forces with one civilian-to-military delivery system® that ensures that everyone gets a piece of home every month, just like clock work. Let us change by making America first, and take charge by employing Supply Change Management creating a Capability System that is Efficient and Effective to increase our country's Combat Capability. TV MainStream (www.TVMainStream.com) TV Worldwide's leading channel targeting the digital media and technology industries, is the largest source for video content related to the new media industry in the world reaching a large number of executives and decision makers with live and archived webcasts each month from the TV Worldwide studios and from events throughout the United States. It is a resource for anyone interested in learning about the technologies, business models and leading figures in the digital media and telecom industries including advertising and marketing, mobile technologies, regulatory and legal issues, streaming and broadcast media and convergent technologies such as IPTV. 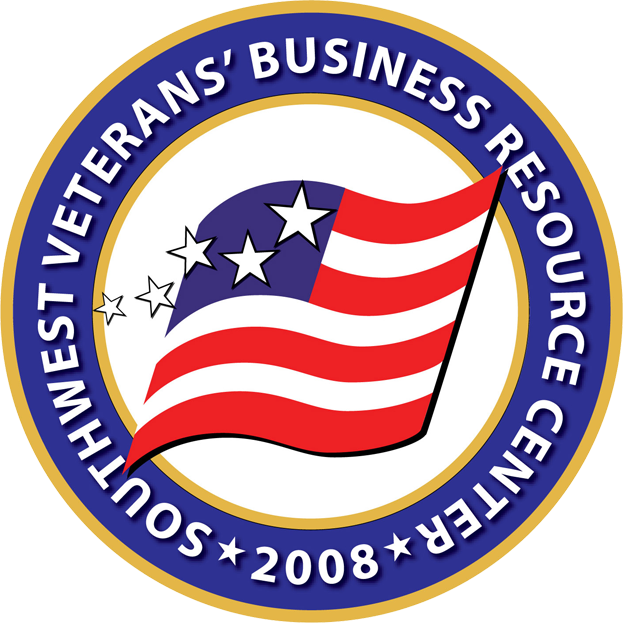 About Southwest Veteran's Business Resource Center Where Communities Serve Veterans. The Southwest Veterans' Business Resource Center, Inc., Fallbrook, California in concert with the support of communities was established May 21, 2008 in honor of Memorial Day and its doors first opened November 1, 2008 in honor of Veterans Day, to assist Veterans and active duty military members that have served in any military component, and with exception, spouses through outreach and education programs.